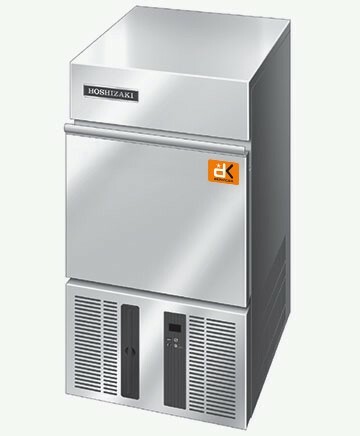 Here at DK Services, as leading bar equipment suppliers we’re huge fans of the many kinds of appliances that work behind the scenes to bring the highest standards of success to any establishment, but we’re especially fond of those kinds of incredible products that function incredibly effectively and efficiently when tasked with taking care of tasks best left automated. A prime example of what we’re talking about lies with our range of dishwashers, as they’re the perfect appliance to lend a helping hand on a busy day when you really need to dedicate your time elsewhere and you need something you can well and truly rely on to take care of any job you assign. In this case we’re talking about dishwashing, of course, which is a job that these appliances will be more than able to undertake – no matter what quantity of dishes you’re looking to take care of. Even if they have to deal with a constantly heavy stream of the dirtiest dishes in the world to get through, you’re absolutely guaranteed a sparkling clean end result after just 4 minutes. 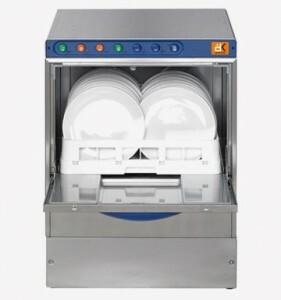 You can say goodbye to those stacks of dirty plates piling up on a busy day when you invest in one of our fantastic dishwashers, so why not make your day to day life that much easier by investing in what we’ve got to offer as leading bar equipment suppliers? 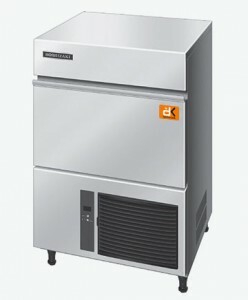 Here at DK Services, we’re always ready and waiting to be your number one choice of bar equipment suppliers Manchester-wide, so what are you waiting for? We’ll always guarantee the very highest standards of quality both in the products you order and the service you receive no matter which of our appliances you choose to hire or purchase, Make sure you don’t wait to get in contact as soon as you can! No matter where you go, there’ll always be a need for drinks that are finely chilled and ready to refresh. Especially now as we head into May, and the days are finally beginning to warm up, it’s more important than ever to make sure that your bar, pub or club has all the ice it needs to stay fully stocked. 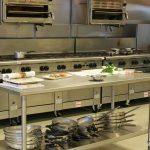 As suppliers of the very best bar equipment Manchester has to offer, we here at DK Services are more than ready to provide appliances that you can rely on. Our ice makers are the perfect example of that, as they’ll always ensure that you’re never without an essential, reliable supply of crystal clear ice to serve up in any kind of drink. They feature highly robust design, incorporating as many innovative features as possible to make using them as simple as it gets, and they’ll keep on going without a problem for years and years to come – especially when you factor in our ability to provide maintenance and repairs no matter what. We’re more than able to provide the perfect appliances from our stock of ice makers and more when it comes to bar equipment Manchester-wide, but did you know that we’re also ready and able to ensure you get the finest standards of service every time you invest in what we have to offer? Our dedication to customer service promises that you’ll always have a source of insightful, comprehensive answers for any of the questions you might have regarding how we work and what we’re able to provide, so why not let us know all about what you’re looking for as soon as you can? Here at DK Services, we’re always looking to bring you the finest ice makers and more, with a huge stock of reliable bar equipment Manchester-wide that’s sure to impress. Make sure you don’t wait to get in contact as soon as you can, as there’s never been a better time to get your hands on fantastic appliances like those found in our range of ice makers. Where would any good bar be without that all-important ice to chill drinks and keep everything running at a nicely cold temperature? Good question – and the answer should be pretty clear! That’s why we here at DK Services have got ice makers ready to go wherever you want to put them, practical and efficient in any number of roles and cheap to run even under heavy use. The only thing we’re waiting for is your call to our team of expert bar equipment suppliers, so don’t delay! With DK Services, you’ll always be able to relax and rest assured knowing that we’re bar equipment suppliers who will strive to get you the very best price possible on any of the appliances in our stock, as bringing you the very best quality for a fantastic price is our passion. We even maintain a tremendously flexible rental service to ensure that you’ll always have a way to get your hands on the stock we’ve got waiting for you, suitable for anyone working on a tighter budget or for anyone that needs top quality appliances from a bar equipment suppliers temporarily, rather than a permanent purchase. What’s more, we make sure that we provide a complementary servicing and repair policy to go along with all of our rental deals and packages, ensuring that you get the most comprehensive cover possible on every single one of our ice makers, dishwashers or whatever appliances you invest in. 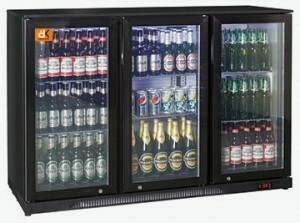 Why not come and have a look at the full range of products on offer here at our bar equipment suppliers? 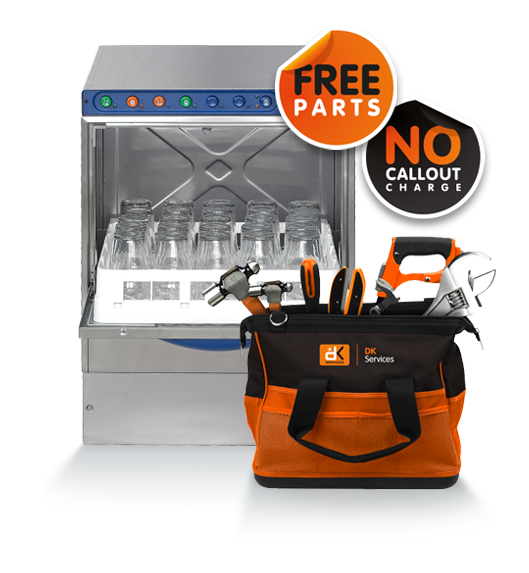 As a leading bar equipment suppliers, our speciality here at DK Services is dealing in top quality bar equipment that simply won’t let you down when you need it most. If you’re looking to take full advantage of the fantastic rental offers we have waiting in store for you, you need only pick up the phone and give us a call as soon as you can. You can find our contact details right here on our website. Are you in need of something from our bar equipment suppliers, but you’re not able to make an outright and expensive purchase in your current situation? There’s no need to worry – our rental service has you covered! We’re top bar equipment suppliers that have made sure that we’re more than ready to provide the finest rental service no matter what, aiming to supply a tremendously flexible solution to getting your hands on the finest stock we have when you’re limited either by budget constraints or time. With no minimum contract and a wide variety of fantastic prices from £7 per week upwards, plus a low initial payment that guarantees you won’t ever be breaking the bank to get the essential appliances you need, there’s definitely a rental deal for everyone waiting here for you at our bar equipment suppliers! You’ll be getting two regular services per year to ensure everything is in order, as well as no charge for delivery, installation and even on spare parts should something be unexpectedly awry. What’s more, you won’t have to pay any call out or labour fees, as you’ll have the option of returning anything you get from our bar equipment suppliers at any time and you’ll always be able to claim any rented appliances against tax if you’d like. So drop us a call! Getting in contact allows you to tell us all about the specifics of your situation, allowing us to work out the very best way that we can be of service and meet your every need and requirement. As a leading bar equipment suppliers we offer nothing less than the most bespoke approach no matter what, especially when it comes to providing flexible rentals that work for you. Simply make DK Services your number one choice for bar equipment suppliers, and you’ll find that we’ll be able to get you everything you need before you know it. You can find our contact details online, so don’t wait to get in touch as soon as you can. Glass washer rentals sound like a fantastic idea right off of the bat precisely because they do exactly what their name might suggest, and because no-one wants to be stuck washing dishes all day when things get busy and their attention is needed elsewhere, but their real strength lies in shouldering the burden of work so you never have to get stuck doing menial tasks better suited to bar equipment like that our glass washer rentals service can provide. Featuring innovative design, huge capacities and incredible standards of reliability to ensure that you’re never left without the essential helping hand offered by our glass washer rentals service, you’ll never regret investing in the fantastic range of glasswashers we have to offer. What’s more, our expert team will always be on hand to ensure that every appliance you order from us will be installed and fully set up completely free of charge, helping you get up and running as soon as possible. What’s more, while our glass washer rentals present a fantastic way to get your hands on the latest bar equipment at a fantastic rate which works especially well for temporary leasing, we’ll always offer you the ability to purchase any appliance outright if you just couldn’t do without your chosen piece of equipment or you’ve simply taken a liking to how it plays a crucial part in your day to day working life. At DK Services, we have an outstanding range appliances and products perfect for running your very own bar, so what’s stopping you from getting in touch with our bar equipment suppliers and discovering all of the top quality appliances we have on offer? Our stock is incredibly comprehensive, including our popular glass washer rentals service, and getting in contact has never been easier. Don’t wait to let us know all about what you need! Here at DK Services, we’ve been in the business of providing the most reliable bar equipment Manchester-wide for a while now, and so we’re speaking from experience when we say that the best kinds of appliances are those that can really help take a load off of your shoulders on a busy day. Take our dishwashers and glasswashers for example, because let’s face it; no-one enjoys having to carry out that kind of work over and over again. We reckon you’d enjoy it even less when you have orders piling up and you find yourself struggling to keep up while cleaning glasses behind the scenes. Fortunately, bar staff never have to worry about handling menial tasks such as cleaning glasses, and that’s precisely because of top quality bar equipment Manchester-wide like the glasswashers we’ve got waiting in store for you. 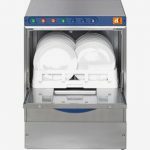 All of the products in our range of glasswashers are ideally suited to shouldering the workload of even the busiest days, handling large quantities of individual glasses and producing an incredibly quick, thorough turnaround that you’re sure to feel the benefit of only a short while after investing. 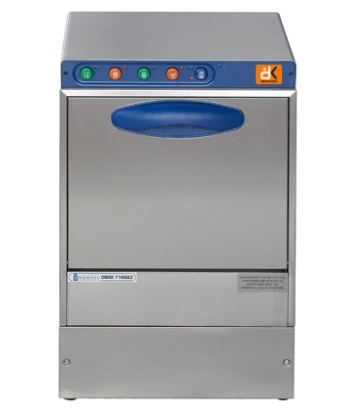 The same can be said for our fantastic selection of dishwashers, if you happen to own a bar or pub which serves food on a regular basis, so why not take a look through our full range of bar equipment Manchester-wide to find that certain something perfect for you? We definitely have something for everyone! When it comes to supplying the very finest bar equipment Manchester has to offer, there’s no-one better than the team here at DK Services to get you what you need at a fantastic price. Make sure you don’t delay, and get in contact with our team either by way of a quick phone call or an online enquiry via our website. We’d love to hear from you and get you something special from our stock of bar equipment Manchester-wide! You might be a little tired of the cold outside, given the current wintery weather of January, but when it comes to essential bar equipment Manchester-wide, ice makers should definitely be at the top of your list. Drinks will always need cooling as effectively as possible, as no-one expects a warm drink to be passed over the counter, and the ability to create an endless supply of incredible, crystal clear ice is paramount for any establishment. This is where we can come in! As leading suppliers of the finest bar equipment Manchester can get you, every one of our ice makers utilises innovative design and automation to ensure that you’ll never be left without a completely fresh supply of ice at any point in the day, coming in a tremendous range of sizes and shapes depending on what you’re looking for. Just like our full stock of bar equipment Manchester-wide, our ice makers are more than able to handle even the largest quantities of ice production on a busy day, too, with levels of reliability you might find hard to beat. What’s more, as well as maintaining a stock of ice makers and other bar equipment Manchester-wise that’s sure to amaze, we pride ourselves on the top standards of customer service you’ll always receive Our expert team is always on hand to guarantee you not only get everything you need, but also have a source of comprehensive and knowledgeable answers for any questions you might have about how we work or what we’re able to provide. Why not let us know all about what you’re looking for as soon as you can? If you’re in the market for ice makers you definitely can trust to provide everything you need whenever you need them to, you can find the ideal products ready to buy or rent right here with us. 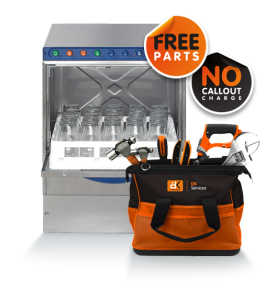 After all, a tremendous range of the best bar equipment Manchester has to offer is never too far with DK Services on hand to supply all you need, so don’t wait to get in touch. You can find our full contact details on our website. If you own a bar and you think that you’re just about ready to open and start providing essential refreshment and more for anyone that stops by, chances are you’re pretty set. You’ve likely picked out the ideal suppliers of drinks and more, with everything in the place well decorated and furnished, but can you say that you’ve fitted your establishment out with the best bar equipment Manchester has to offer? It’s not always immediately obvious where to go first, and that’s why we here at DK Services are more than happy to be there for you when you need the best bar equipment Manchester can get you! Our innovative rental system allows us to offer the same fantastic bar equipment Manchester-wide at an unbeatable rate, allowing for a temporary lease which can often work much better for those on a budget or for those who may not need to own their bar equipment and appliances on a permanent basis. 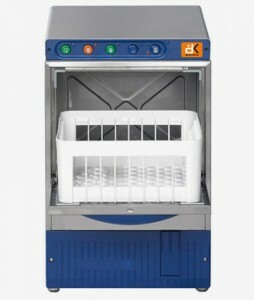 Any and all of the fantastic ice makers, dishwashers, bottle coolers in our selection can be rented at will, so don’t be afraid to get in touch and enquire all about it. As leading suppliers of bar equipment Manchester-wide, we’ll always be on the other end of the line to ensure you always have an experienced source of insight to answer whatever questions you may have, and our team of experts is always poised to deliver top quality installation, maintenance and more whenever you require it. So what’s keeping you from ordering your very own bar equipment Manchester-wide today? Don’t wait to look into getting the ideal bar equipment Manchester-wide courtesy of the incredible stock of appliances found right here at DK Services, as we can guarantee that we’ve got exactly what you need just waiting to find a place in your bars, pubs and more. You can get in contact with our team by way of a quick phone call or online enquiry in the form of an email, so don’t hesitate to make sure you do just that. We’re wishing you all the best here at DK Services, with a Happy New Year and a hope that the future holds nothing but good news for you in 2016! Our team is certainly excited to see why our own future has in store for us, with the demand for top quality bar equipment Manchester-wide growing more and more every year – and showing no sign of stopping. Why not take a look at what we’ve got to offer, and be a part of the exciting new customer base we’re sure to be building in the coming twelve months ahead? There’s certainly a fantastic range of bar equipment Manchester-wide waiting to be discovered, with all kinds of brand new products offered alongside a 1 year full warranty to guarantee that the products you get are never going to disappoint you. We even have an extensive range of refurbished bar equipment Manchester-wide that’s been fully serviced and properly maintained to guarantee top quality at an even more impressive price, which after testing by our in-house engineers also come with a 6 month warranty. So why wait? If you feel as if what we have to offer could be the ideal thing for you, be sure to get in touch with DK Services as soon as you can. There’s no better way to welcome the New Year than being out at your favourite bar or club enjoying a drink, some would argue, so it’s a time when ensuring you’re stocked full of all the latest bar equipment Manchester-wide has never been more important! Here at DK Services, providing the very best commercial bar equipment Manchester has to offer is definitely our speciality, so don’t wait to let us know what you need for the year ahead. Make sure you get in contact as soon as you can, as our team is always ready and waiting to deliver something special from our fantastic stock of bar equipment Manchester-wide.